The US Green City Bonds Coalition, set up by the Climate Bonds Initiative, C40 Cities Climate Leadership Group, CDP, Natural Resources Defense Council, Ceres and As You Sow, aims to help municipalities tap into the green bond opportunity. 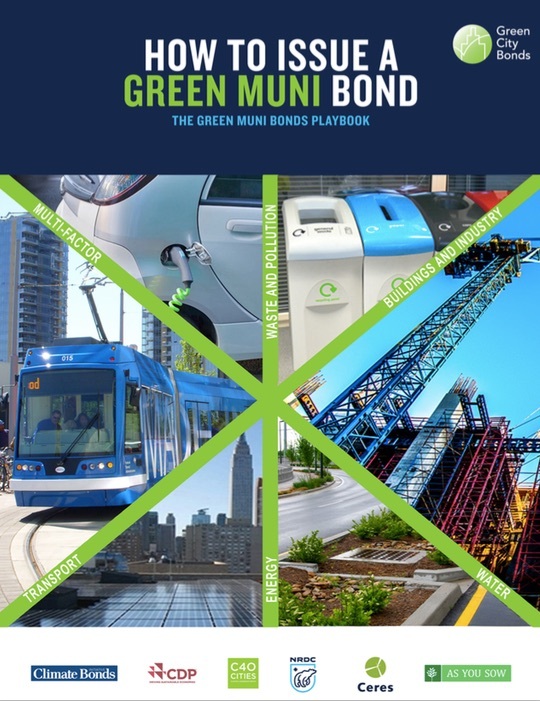 We are delighted to launch the Green Muni Bonds Playbook to assist cities in getting to issuance. Please read our press release.